Thread Lift, What is it? 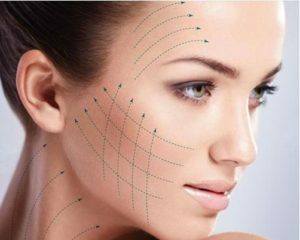 Thread lifting is a non-invasive, non-surgical procedure designed to tighten loose and sagging skin and is the best procedure for neck and jawlines. 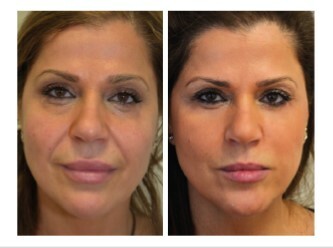 Thread Lift will restore that natural V-Shape of your jawline. Thread lifting treatment has been around for more than 20 years. 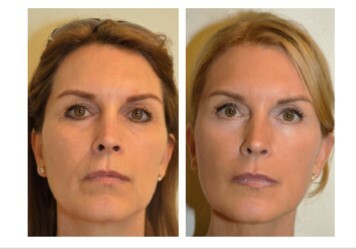 This procedure was mainly performed in Europe and Asia. The non-surgical procedure uses a series of microfilaments positioned at specific areas of the face to lift the brows, sagging skin over cheeks, reduce nasolabial and marionette lines, define jawline, reducing the roundness of the face and reduce double chins. The filament is placed just under the skin and help stimulate collagen and firm the skin. LIFTING. CONTOURING. INSTANT RESULTS. NATURAL. HEALTHY. AGELESS. The threads are made of polydiaxanone and break down in about 6-8 months. They are 100% bio-compatible and bio-absorbable material which has long been used in medical suturing.